Timeless tales of forbidden love come in all shapes and forms, and the story of devoted Technicians Krystin and Josh Smith could surely give Romeo & Juliet a run for their money. Krystin grew up on the west side of Jacksonville, Florida, where – standing at 4’9”, 70lbs – she fought through the hardships of both a ghetto community on the outside and a horrible family life on the inside. She was mentally and emotionally trapped, with nowhere to go. Everybody has their music of choice for getting through their troubles – like thousands across America, Krystin would usually turn to the highly-effective mood music of the Insane Clown Posse from a very young age. It was only a matter of time before she discovered the King of Darkness himself – Mr. Tech N9ne. Tech’s music grew even more near and dear to Krystin when she was 16. While visiting her mother for the Christmas holidays and her birthday in 2009 (her birthday is New Year’s Eve), Krystin spent most of her time in her own world listening to Tech N9ne while watching her older brother play Xbox. One day, one of her brothers’ friends came to visit and overheard Tech’s voice playing through her speakers…that friend was Josh Smith. Unfortunately, what was so far the greatest moment in Krystin’s life would soon turn into a horrible nightmare. Her mother refused to accept her relationship with Josh, and was willing to go to truly terrifying lengths in order to keep them apart. What would happen next is disturbing and heartbreaking. Through all of the horrors Krystin experienced, it was the motivation of Tech N9ne that kept her seeing the light at the end of the tunnel. She stuck to her guns, held strong, and finally her mother gave up and decided to gradually cut her loose. It had been almost a year since Krystin and Josh met, and they were forced into making a choice – get married, or forget about it all. The choice was easy. In November, 2010, Krystin’s mother allowed her and Josh to meet once to discuss wedding details – they were to get married in February 2011. The great news also meant one horrible thing for Krystin, though…three more months locked up in her mothers’ house, back to her old schedule of bathroom every two hours and hot dogs once a day. Until she turned 18 (when she was to be kicked out of her house), Krystin was totally under her mother’s supervision. Of all the struggles, hardships, and abuse from her own mother Krystin was forced to endure throughout her life, nothing could compare to the pain of losing Cameron Yates. Krystin and Josh are warriors, survivors. Having gone through things together at a very young age that nobody should have to go through at all, they’ve managed to stay strong and stick together. A miscarriage would totally destroy some people and cause them to give up, but Krystin’s brought her and Josh even closer and has made them fight even harder. Krystin and Josh got married in March of 2011, while Tech N9ne toured across Canada on the Canuck The Industry Tour, having no idea the impact he was having on the lives of these two brave Jacksonville Technicians. Surely, a very special place will be saved for them in Strangeland. 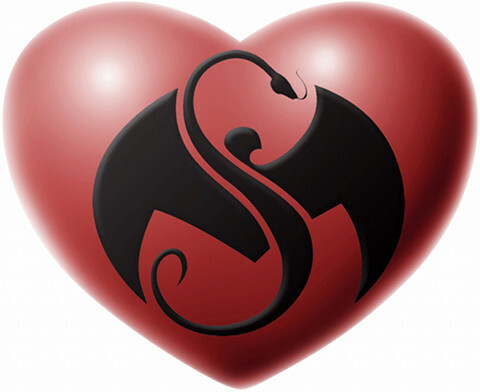 Has Strange Music brought you together with your loved one?